United rolled out a handful of changes to the MileagePlus program on Friday. There was nothing particularly earth-shattering in this round of changes, and I wasn’t planning on writing about it… until United got me on the phone with Luc Bondar, the airline’s VP of Loyalty. While these aren’t big changes, I asked Luc to open up about what was driving them. Here’s what he had to say. Luc started off the conversation with a broad statement about why this was happening. We are looking for ways to ensure customers understand that the best way to travel on United is as a member of MileagePlus. And the best way to fly in MileagePlus is as a Premier member. There’s not a person in the world who would describe MileagePlus as simple, but then again I suppose the goal is “simpler,” and that shouldn’t be too hard to achieve. Pretty much ANYTHING is simpler. With that stated backdrop, how do the changes being made fit? Let’s go through them. United recently revamped its boarding process (for the millionth time) so that there are 5 groups and two lanes. 1K members (those who earn more than 100,000 Premier Qualifying Miles in a year and meet the spending threshold) fit in none of those groups. Instead, they pre-board with Global Services, British royalty, families with small kids, people with the last name Smisek or Tilton, active-duty military, White House-approved dictators, unaccompanied minors, anyone associated with USC, and disabled customers. Meanwhile, Gold members (50,000 PQMs a year plus spend) move up to group 1. This certainly has nothing to do with simplicity, but I suppose it would fall into the “lining up value” category. Pre-boarding comes with a reflection of status; that we are recognizing the value of these customers and inviting them to board before all other fliers. It’s an important driver of increased satisfaction. So it is a psychological thing. Pre-boarding just sounds more important than being in Group 1. On the baggage front, there are a few changes, all positive for the customer. Silver members used to have a cap of 50 lbs per bag on their free baggage allowance. That now rises to 70 lbs per bag to match the weight limit for those with higher status. Silver members flying in coach between the US and Europe get two bags for free instead of one bag. Gold members flying in coach between the US and Europe get three bags for free instead of two bags. Ensuring that a consistent proposition is in place definitely streamlines the operation, and as a business we’ve been focused on improving the operation, and that’s reflected in all our operational stats. But from a customer standpoint, our Silver members, looking at the different benefits, they saw this as important, around key times of the year like the holidays. Once again Luc referred to the impact on customer satisfaction scores, so that appears to be an internal goal to get those higher. In case you’re wondering, that’s measured in a couple ways. If you’ve flown United, you’ve probably received a survey after your flight. That’s the primary way of measuring satisfaction. There is also separate consumer research done around the loyalty program which goes into it. These two previous changes may very well improve customer satisfaction scores, but the next one is more of a mixed bag. For travelers to qualify for elite status today, they need to earn a combination of Premier Qualifying Miles (PQMs) and Premier Qualifying Dollars (PQDs). A 1K today, for example, needs to earn 100,000 PQMs and spend $12,000 in PQDs (fares excluding taxes and fees). Two things will change on that beginning January 1. On the PQM side, United’s cheapest premium cabin fares (those in P class) will now only earn 150 percent of actual miles flown, down from 200 percent now. That will have the effect of making it harder for anyone to qualify for status if they’re living off cheaper fares. On the PQD side, 1Ks will now need to earn $15,000 instead of $12,000. That makes it harder to qualify for 1K, of course. This certainly won’t help customer satisfaction for those who will be knocked down a level in status because of this. But for those who remain, this should increase satisfaction. After all, having fewer people to compete against for upgrades and other benefits will be good for them. I wondered if United was managing the program to a certain number, or percentage based on total traffic. Were these changes meant to keep the ranks at x members achieving status? United says no. This isn’t goal-seeking against a set target…. We have a finite number of resources we can deliver, whether upgrades or seats…. It’s more art than science; it’s really about aligning the value we get with the customers with the value we are receiving and the value we are able to promise. That was a semi-muddled explanation, but I think the key here is that it’s more art than science. Once a true road warrior reaches 1K today, United has to find a way to keep that person flying the airline instead of switching to try to qualify for status on another carrier. That involves giving people the ability to earn more upgrades. Today, for every 25,000 miles above 100,000, 1Ks earn 2 regional upgrades (RPUs) which can be used domestically. Then for every 50,000 miles above 100,000, they earn 2 global upgrades (GPUs) to be used anywhere in the United system. Obviously the GPUs are far more valuable and coveted. This is especially true now that the cost of just buying First Class domestically has come down. Looking at how customers use RPUs, GPUs, where they get the most value. Part of the value was… learning GPUs are much more valued and getting more GPUs sooner was important. For customers that are flying up over the 100,000 miles, they tend to have global travel in their footprint, so getting access to the GPUs sooner [was important]. And that’s it for this round of changes. I’m sure some people will be unhappy, but many more should like this plan. Either way, at least now you have a little more context on how United is approaching this. I’m actually in favor of raising the qualification thresholds. The silver level (or gold at AA) are basically worthless as anyone can basically buy into that status without truly being a FF. I’m ok if airlines want to sell perks via direct sales or credit card promotions but for those of us that do fly 25-49k miles annually we’re taking in on the chin. I’d rather have a higher threshold to entry if the actual perks are attainable, such as those upgrades to the front seats, etc. Just my 2 cents. Oh, and pre-boarding is a joke. Thanks for the laugh. I completely support these changes. I’ve been a 1K for many years (GS first time this year) and I’ve always found the PQD threshold to be a little too low for all levels. To A’s point, the liberal bestowing of status via credit cards has significantly devalued the program for those of us who truly are “frequent fliers.” While most get to the higher levels of status through international travel, there are a lot of us that do it almost exclusively domestically. If you assume an average stage length of 1,000 miles, that means that each flight needs to be at least $120 (now $150) to achieve 1K. I don’t know what UA’s PRASM is off the top of my head but I don’t think that’s unrealistic when traveling for business, especially if you travel to non-hub airports (hello, XNA). Besides, these programs exist to reward the airline’s most lucrative customers and the status criteria should reflect that. Speaking out of both sides of my mouth, however, I wish the GPUs didn’t require the most expensive fare classes to use. I’d love to use those on vacation instead of work travel but again, I recognize that UA should upgrade those with a higher fare first. As for pre-boarding, I don’t think it’s as bad as you make it out to be, CF. Most flights during the week, I see maybe 2 or 3 GS preboard and maybe one family. Weekends are different with all the small kids. Shout out to the gate agents that call you by name to board, though. Raises hand. I’ve never received status on int’l travel. So adding up miles at 500, 1000, 1500 segments takes a lot of time and is hard travel. Doing R/T flights to Asia in lie flat seats is by comparison easy. Preboarders tend to be infants and people with mobility issues, so lumping your most frequent fliers in with that group is curious. Hope it works out for everyone. They actually announce each group of preboarders in order. Therefore, they wait for the disabled to board before announcing GS. It runs more smoothly than it sounds. Only issue is that there’s rarely anywhere for the preboarding group to stand while waiting for boarding to commence. “Simple,” “simpler,” “simplicity!” What industry are we talking about here? Should be “board LAST with people with the last name Smisek”. As a non-hub flyer with an airport served by almost every national carrier but Spirit, I think I’ve gotten status once in 20 years of semi-frequent flying, as my flying is too spread out among the different airlines. I wonder how many people get real value out of the endless hours of playing the points system vs. just putting their spending on a 2% cash-back card, getting FF miles by simply buying tickets and flying, and doing other things with their time. If you’re spending 200+hours per year on a plane often in 10 hour+ stretches some of this counts…. Your approach doesn’t really work for everyone. In my case, I am a moderately frequent flyer (typically in the UA Gold range). I fly out of a hub (ORD). I travel to many different places a year, both domestic and international. The incremental benefits when traveling with family or on my own tend to add up in terms of wait times boarding; free access to economy plus; better service during IRROPS; etc. Many of us also work for larger corporations which require our business travel to be booked on travel portals and paid on corporate credit cards. Otherwise, I’d book with my cashback card on the website and get united.com Club credits with every reservation. Once you travel more than 50,000 miles a year, it is actually quite helpful to stack all your flying onto one airline. While the benefits aren’t as great as they were 10 years ago, they really do come in handy when stuff goes wrong (i.e. IRRROPS) and you will typically get a seat with more legroom and it’s a less worse experience. As for boarding first, the only reason you board early is to get your bag on board or if you are in first class to get a pre-departure beverage. If you are only carrying a small backpack that easily fits under the seat and you’re in coach, then I would board at the last possible moment as I’ve done many times. So conveniently left out of these UA PR-centric discussions about RPU/GPU upgrade changes is the near-impossibility of obtaining a future GPU-based upgrade confirmation at time of booking. I have been 1K for 15 years, and the last 6 years (since Continental merger in 2012) has been a fact-based travesty in how United actually allows usage of GPUs. Those of us experienced in GPU usage never expect to have full schedule flexibility to get a confirmed upgrade, but in years past flights that you could book 3-6-9 months in advance would at least have some availability on some flights to confirm GPUs at booking. No longer – United is 100% committed to SELLING that previously allocated capacity as inexpensive buy-ups for anybody. If there still happens to be inventory close to departure, then they might free up a few seats. On International flights, to use a GPU you have to buy a minimum coach fare class (W) which is usually more expensive than the cheapest fare. Imagine paying $300 more than you had to for, say SFO-SYD-SFO economy only to be GPU waitlisted, and then have your upgrades NOT clear – but you paid that higher economy fare regardless. I’m patting myself on the back if I am UA Revenue Management – it’s brilliant, but only after I spit in the face of my most loyal customers. I just requalified for 2019 1K…and I now have (14) GPUs in my account, some of which expire in January. I want to go to SFO-EWR in early December. Not a single confirmable RPU/GPU upgrade on any nonstop flight 10 days in either direction. Just a single data point to reflect on how GPUs are no longer a great benefit to a two-million miler, 15 year 1K United flier regardless of what tweaks UA makes to the upgrade program. What I would love to see (which will never, ever happen) are statistics on overall GPU upgrade capacity from 2011 to 2018 – both in terms of time frame before departure, and total # of GPU-confirmable, in-advance seats allocated across the system. Compare that to the incremental billions in revenue that United has taken in from sold premium cabin seats that are no longer made available to upgrade and I am sure we would see the pattern of extreme devaluing of the RPU/GPU instrument. I get that there is competition and I could leave UA for somebody else. Not the point – the simple point is if you are going to offer (and market) a particular perk as reward for my long-term “loyalty” to your brand and your product, don’t forget the part where your loyal customer might actually want to use that perk. Sorry for rant, but any discussion about this UA Premier RPU/GPU thing just sends me into a tizzy. Is USC Southern Cal or South Carolina? I want to be sure of the type of people I’m giving my money to! CF, are these multipliers used for PQMs or for redeemable miles? I didn’t realize there were qualifying mile multipliers, except for the occasional promotion. The real question I’d live to see asked is why they have no interest in trying to use their loyalty program as a differentiator. 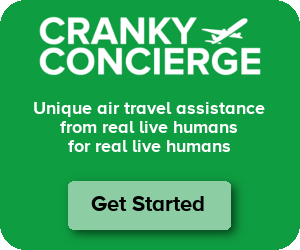 A way to convince people to fly United (or Delta or American) over their competition. Almost everyone is going to have a natural preference based on network and or corporate policies. If that stuff dictates who you fly 50 percent of the time, loyalty programs are just about the next 30 percent where another carrier is a bit better for you. Then there is another 20 percent that isn’t going to move one way or the other (you have limited time flexibility, preferred carrier doesn’t have a direct flight, etc). Obviously percentages are illustrative, point is that regardless of the program, a typical DFW based flyer is never going to pick United as a primary carrier. The loyalty program just makes sure that, if United has the better flight option to a particular destination, the flyer is going to pick American anyway. Chicago, New York, and maybe LA are probably the only cities where a program is going to swing overall airline preference. Everywhere else it’s just about individual flights.